Are you seeking a solution for allergies, asthma, and chemical sensitivities? Do you need to remove mold spores, dust particles, chemicals, pet dander and more from the indoor air you breathe? Well you can breathe easy! You’ve come to the right place. I realize that purchasing an air cleaner is an investment that may require research. My goal is to make sure you have all the information you need to make the best choice for you. I look forward to helping you resolve your air quality issues with an Austin Air cleaner that will serve you well for many years! Your satisfaction is important to me! After much research, I chose to purchase an Austin Air Cleaner in 1999 for my home. But I experienced the true power and value of this product in 2004 when a new carpet was installed in my office. The noxious chemical odor from the glue was so toxic that I literally could not stay there for more than a few hours. I put two HealthMate units* on high and ran them continuously for 3 days. When I was then able to resume a normal schedule, I knew this was a product I wanted to sell! * Due to the air quality conditions in that office those filters filled in 9 months, far less than the 5 years promised under normal residential conditions. However it proved to me that these air cleaners deliver results! How do I know if an Austin Air cleaner is right for me? What makes Austin Air filters different? Are Austin Air cleaners easy to use? Honestly, the only way to know is to try one! Austin Air cleaners have been tested by the U.S. Army Corp of Engineers, and other respected testing labs, regarding flow rate, flow design, removal of vapors, gases and sub-micron particles. Austin Air was chosen by FEMA and The Red Cross to address the serious air quality concerns in New York City after 9/11. This was the largest deployment of air cleaners purchased by the U.S. government in American history. 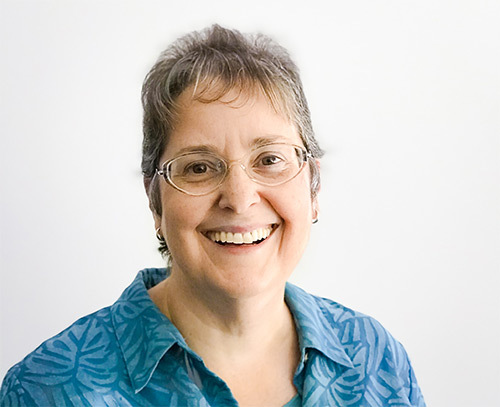 Austin Air is the only air cleaner recommended by Dr. Doris Rapp, a board-certified environmental medical specialist and pediatric allergist. What makes Austin Air different? All models contain true medical HEPA and an activated carbon-zeolite mix (the best filter mediums proven to clean the air) in a 4-stage filter. Austin Air cleaners remove dust particles, mold spores, pollen, tobacco smoke, chemical vapors, gases, viruses, bacteria and odors. These air cleaners deliver a complete filtration solution that effectively removes a wide variety of particles, sub-micron particles, chemicals, gases, microorganisms, and odors. Emphatically yes! The unique filter design requires no filter changes for 5 years when used under normal residential conditions. Plug it in, turn it on and enjoy clean air for the next 5 years with no hidden costs and minimal recommended maintenance of occasionally vacuuming the 4 sides of the air cleaner to remove larger dust particles. (I confess I’ve never done this and my filters last 5+ years!) Austin Air cleaners cost less to own than other air purifiers and cleaners that require more frequent filter changes. Austin Air cleaners are designed and built for continuous use. Austin Air encourages continuous use to achieve the healthiest living environment possible. Continuous 24/7 use of an Austin Air Cleaner costs about 17 cents per day or less than a penny (0.7 cents) per hour on average. They use an ordinary 120-volt outlet and the maximum draw is 135 watts on the highest setting. Place the air cleaner at least 4 inches from the wall to take advantage of Austin’s unique design that allows air to be freely drawn in from all sides. Austin Air recommends placing your air cleaner in the bedroom for maximum effectiveness. For most people the bedroom is the place they spend the most uninterrupted time. However the air cleaner also works great in offices, living rooms or any other room where you spend a lot of time. Please review our easy reference chart for filter specifications, prices and colors. If you have questions, contact me! I'll help you determine which model is right for you. Please click here to view the model reference chart. 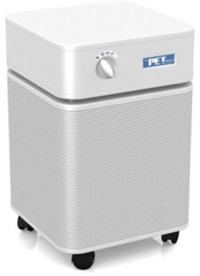 Removes 99.7% of dust mites, molds, pollen, pet dander and all particles over 0.3 microns from the air. Removes 3000 gases, vapors, fumes and toxic chemicals. Provides a clean pocket of air in 15 seconds for emergency help. 4-stage filter includes activated carbon-zeolite mix and true medical HEPA. Filter casing is 100% stainless steel and non-toxic. 30-day money back guarantee includes full refund less shipping and handling charges. 5-year warranty on parts and labor and a 5-year prorated filter warranty. 3 speed fans: quiet on low setting, clears the room quickly on higher settings. 2 sizes: Standard cleans areas up to 1500 sq. ft. Junior cleans areas up to 700 sq. ft. Standard comes with wheels and can be moved easily. Junior is 20 pounds, wheels are offered as an option for an additional fee. Buy one risk free with the 30-day money back guarantee. You or someone in your family could be feeling better very soon! 1. Send an email listing the model, size and color as well as the reason for your purchase and the size in square feet of the room where you plan to use the air cleaner. 2. I will review your order to make sure it is complete and also send any questions or suggestion I have regarding your choice of models. 3. You will receive an email invoice that directs you to PayPal for payment. Note: You do not need a PayPal account to make a payment using PayPal. You can also pay with a credit card or your bank account. Your order will be placed as soon as payment is made. 4. If you prefer to pay by check, make check payable to: Carla Eisenberg and send to 1345 Laguna Ct. Unit A, Hanover Park, IL 60133. Your order will be shipped when the check clears. Essential Relaxation Services offers hypnosis, reflexology, massage therapy for help with stress, pain, losing weight and to stop smoking to people in the following Illinois communities: DuPage County, Arlington Heights, Aurora, Bartlett, Batavia, Bloomingdale, Carol Stream, Downers Grove, Elgin, Elk Grove Village, Geneva, Glendale Heights, Glen Ellyn, Hanover Park, Hoffman Estates, Lisle, Naperville, Palatine, Rolling Meadows, Roselle, West Chicago, Wheaton, Winfield, Villa Park, Elmhurst, Lombard, St. Charles, Streamwood, and areas in Cook County, Will County and Kane County. Essential Relaxations Services is also an authorized dealer of Austin Air cleaners.